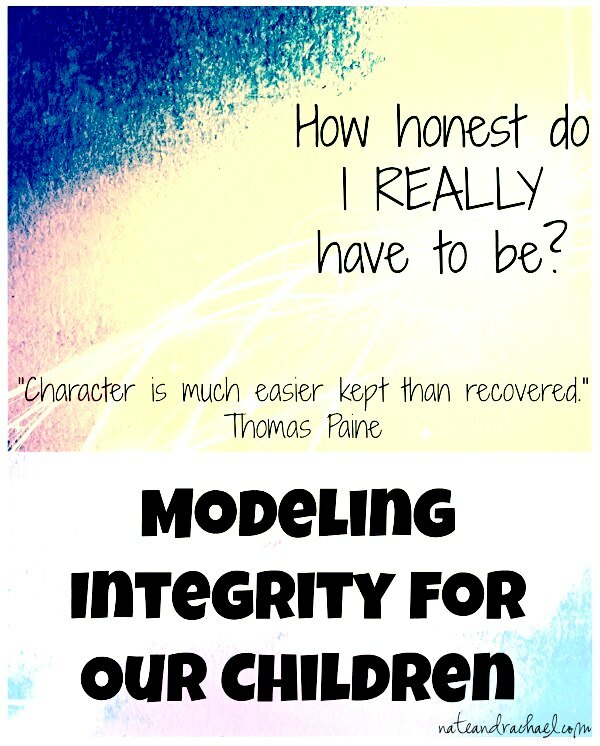 Modeling Integrity for Children–how honest do I really have to be? The other day I walked out of the grocery store without paying for a $1.99 bowl of guacamole. It was hidden under a coat, and it just didn’t make it out of the cart with the other $100+ of groceries. An honest mistake, but I didn’t take it back once I realized my error. I had both of my (hungry, fussy) girls with me. It was late. It was just $1.99. I had recently witnessed an employee topple a whole cart full of milk, eggs, and canned biscuits. My $1.99 was NOT a big deal. I can publicly admit this because I know you have similar stories. When I mentioned the guac at play group the other day, the other moms had plenty of examples of times when they unintentionally ended up with free goods and services. But then Nate ran over our new stroller with his car. He didn’t completely demolition-derby it. But the wheel bent and the tire popped off. Not cool. It was brand new! So I called the stroller company and told them that the wheel had popped off the tire. They asked me if it was like that out of the box, and I said no I had just noticed it..which was true! They immediately sent out a replacement. I knew I was being shady, but I am so cheap. I didn’t want to repay for something we had just purchased. And doesn’t it feel good when you accidentally get something for free? Don’t you celebrate when a product is accidentally marked too low? Or a store makes a mistake in your favor? Or a broken part gets replaced? Lucky you, right? You got a great deal! But Nate gently pointed out that he thought we should pay for his mistake. To which I countered that I didn’t have the power to order a replacement part. It couldn’t be done online; the customer service rep had to take care of that over the phone. And her choice was to send us the new part for free. And then the guilt came. No human (besides Nate, and he doesn’t judge me like that) would ever know that I had, in essence, stolen a wheel from an unsuspecting company. But even if no one knows, is that the person I want to be? Even more scary, is that the kind of thing I want our girls to see modeled by their mom? The next week, I was back at the grocery store. Guacamole was still on sale for $1.99. I took a fresh thing of guac to the checkout line and asked them to ring it up for me and then put it back on the shelf. I told them I had accidentally walked out of the store without paying for my guacamole last time. And do you know what? The fact that I paid for that little thing of guacamole has had major emotional ramifications for me. I go to that grocery store every week at the same time. I see the same workers regularly. I don’t have to sneak around and worry that one of them was watching the security footage and saw me “steal” the guacamole. I feel no guilt. When I start to leave an unpaid item in my cart (again!) and the self-checkout clerk notices, I don’t feel bad. Oops! “Thanks for catching that,” I say. I feel no shame. Mistakes happen, but I’m building a reputation for doing the right thing. And when I get home and notice that a fresh avocado is bad, a block of unopened cheese is moldy, or a can of biscuits came home with a broken seal, I send Nate back to the store immediately to exchange them for fresh goods. I do right by the store, and they do right by me. Can I promise I’ll do the right thing all of the time? Of course not. But (I think) I want to be truly honest in the little things even if it means literally and physically paying for my mistakes. And I hope and pray our girls will do that, too. For more giveaways and stories, we’d love it if you’d like us on facebook, follow us on pinterest, or subscribe to email updates. Great post. I appreciate your transparency. I think you were right to pay for the guacamole even though it was such a tiny amount. 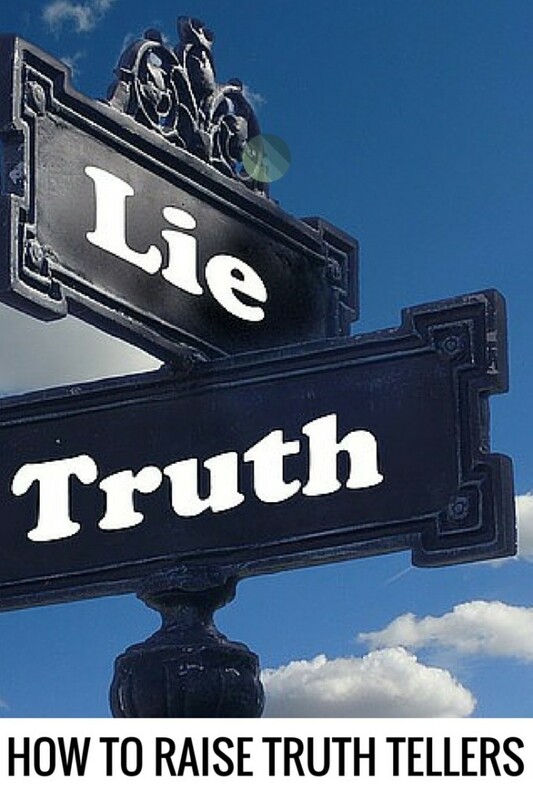 We’re either honest or we’re not – it doesn’t matter whether it’s a big thing or a little thing. That being said, sometimes it’s hard to do the right thing because honesty isn’t respected like it used to be. People do all kinds of dishonest things without blinking an eye. Some of it seems so harmless but we know it isn’t. And there’s nothing like a clear conscience! Thank you for your transparency. It’s can be easy (for all of us) to sometimes not do what’s right whether it’s because of time or money. Thank for reminding us that God see’s all that we do, and considers it all, even the small things, and that the behavior we model is the behavior our children will follow. Thanks for reading, commenting, and encouraging. I was definitely more than a little ashamed to share all of that. But transparency is important! Thank you again! LOVE this post and I can definitely relate. Thanks for sharing your stories so that others can feel encouraged to be fully transparent and honest as well 🙂 Pinned to my family character education board. Thanks for reading, commenting, and pinning, Chelsea! 🙂 Glad to hear I’m not alone! What a fantastic article. A couple years ago I walked out of the shop without paying for a $0.99 bottle of water. It was sooo tempting just o drive home but I had been talking that week about honesty with my 5yo daughter. It struck me that this would be a perfect real-life lesson, so I told her at had happened and we went back to pay for the water. The girl at the checkout gave me a weird look when I told her I had forgotten to pay for the water but you know I walked back to my car feeling so much lighter inside!